Felicitated by life membership of AAFT (Asian Academy of Film & Television) by Dr. Sandeep Marwah in presence of Mr. Karl Bardosh, Hollywood Producer. Kismat Connection Sundeep Kochar Ke Saath” a popular TV serial on Sahara One, real life stories through the eyes of Astrology. Intense Introgression by the finest actor on TV Ronit Roy, a scene from “Adaalat” playing an important character. Inaugurating International Festival of Cellphone Cinema at Marwaha Studio in Film City Noida. Dr. Sundeep Kochar has touched the lives of people across the globe; from Captains of Industry to Film Stars, from Cricketers to Politicians. Sundeep Kochar has appeared in many TV shows worldwide such as ‘Bach ke Rehna’ on Zee News, ‘Guiding Star’ on ARY Digital (Dubai), ‘What’s your Rashi’ and ‘Kismat Ke Sitare’ on Zee TV. ‘Kismat Ke Sitare’ has completed 2740 episodes – a first in TV history; viewed in more than 120 countries. He is the only astrologer to be registered in the ‘Limca Book of Records’ for hosting the longest running astrology show ever on a national television. Sundeep Kochar also is the only Astrologer in India who successfully predicted the results of US Presidential Elections, twice, by predicting the wins of Barack Obama and Donald Trump based on their respective horoscope. 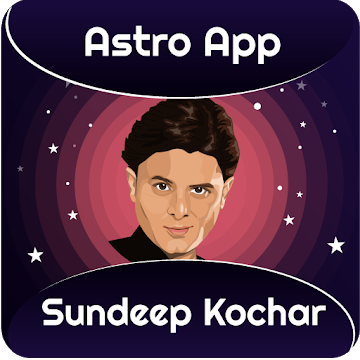 As a world famous astrologer, Dr. Sundeep Kochar also read the horoscopes of serving ‘President of India’at ‘Rashtrapati Bhawan‘ & ‘Vice President of India’ in their official residences. Sundeep Kochar is also the Best Vaastu consultant in India. He specializes in providing Vaastu support and counselling to clients who are facing problems regarding finance, health, relationships and personal growth. He believes in providing holistic Vaastu solutions to his clientele. His Vaastu masterpieces include the restaurant Gaggan and Suhring in Thailand, both of which have been constantly named the best restaurants in Thailand and Asia. He is involved in many social work programmes through Astro Charity. He is World Famous astrologer in India.